Race is once again a contentious topic in America, as shown by the divisive rise of Donald Trump and the activism of groups like Black Lives Matter. Yet Diversity Explosion argues that the current period of profound racial change will lead to a less-divided nation than today's older whites or younger minorities fear. Prominent demographer William Frey sees America's emerging diversity boom as good news for a country that would otherwise face declining growth and rapid aging for many years to come. 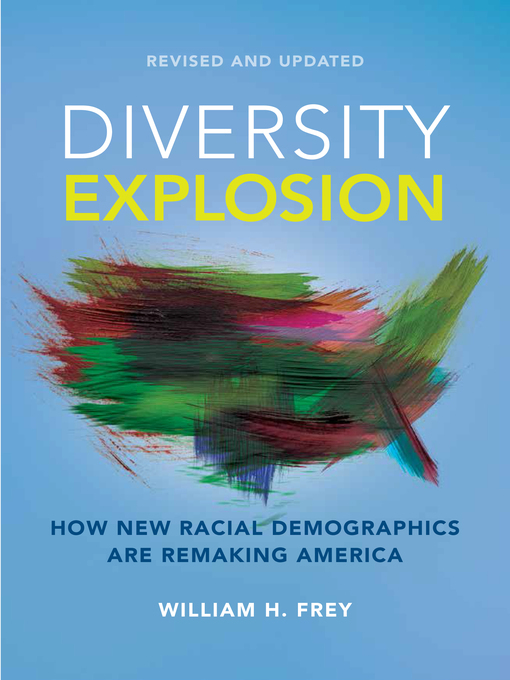 In the new edition of this popular Brookings Press offering, Frey draws from the lessons of the 2016 presidential election and new statistics to paint an illuminating picture of where America's racial demography is headed—and what that means for the nation's future. Using the U.S. Census, national surveys, and related sources, Frey tells how the rapidly growing "new minorities"—Hispanics, Asians, and multiracial Americans—along with blacks and other groups, are transforming and reinvigorating the nation's demographic landscape. He discusses their impact on generational change, regional shifts of major racial groups, neighborhood segregation, interracial marriage, and presidential politics.